i do see the horse and thin lines. you are going to be rich and travel! what a nice story! Oddly enough, the only time that I think I’ve ever had anything like an authentic Turkish coffee was in France. It was in a restaurant run by a Turkish chef and poet and followed an excellent dish of lamb grilled with mint. A memorable evening and an excellent coffee. Thanks for the reminder. 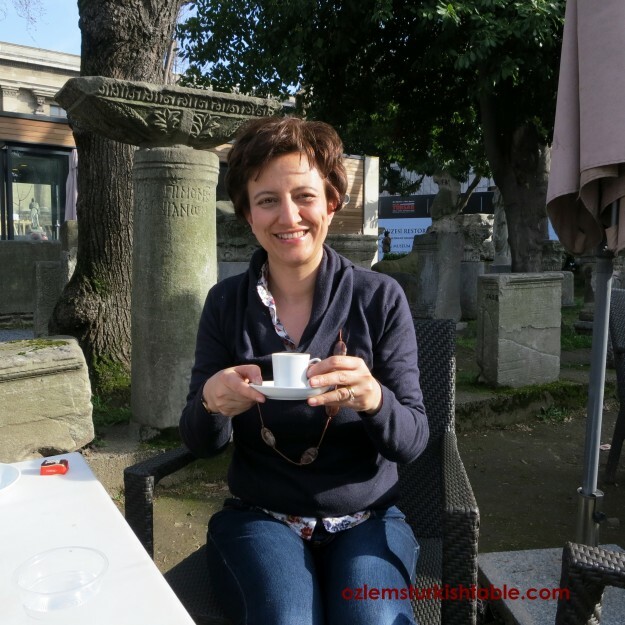 Ozlem, I love this post and I’m not even a coffee drinker…the story of reading the coffee cup is so fun, I could see horses galloping in the one in your picture:) And the coffee utensil and coffee set are beauties! 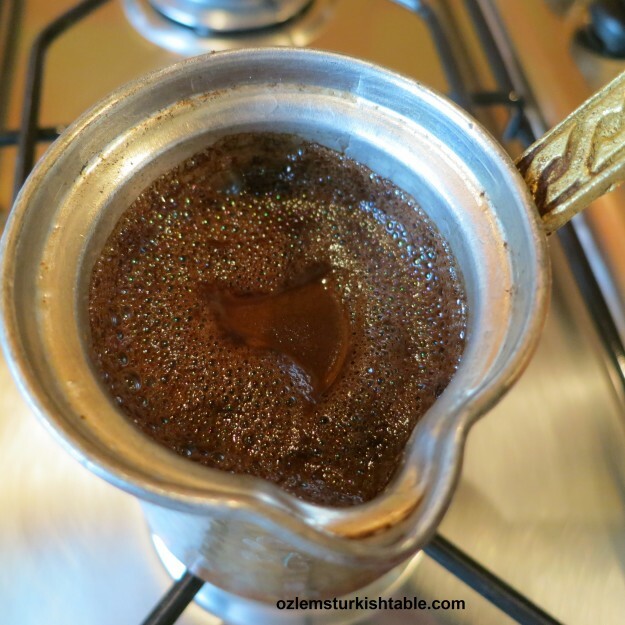 I’m planning to try this Turkish coffee out:) xxPeri. Özlem, Beautiful photos and background story to go with. 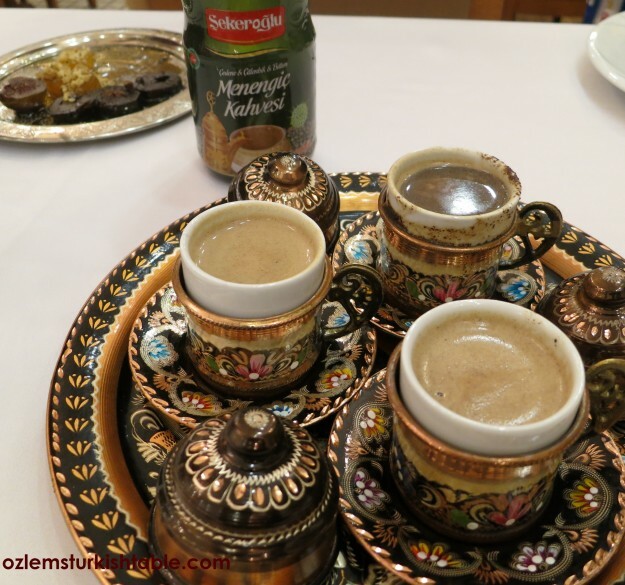 In Urfa and Diyarbakır we had great merengiç coffee. In one place, they also put milk in it – it was delicious but a bit more like a cappucino than a Turkish coffee. 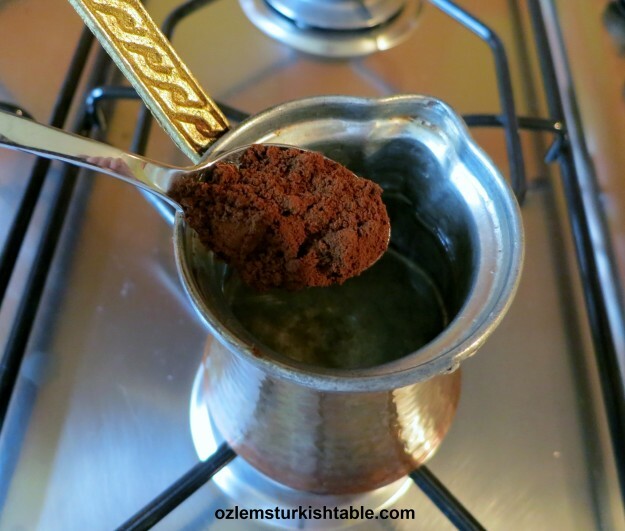 I think of a traditional cup of just plain orta şekerli Turkish coffee as Turkey’s ultimate comfort drink. G’day! 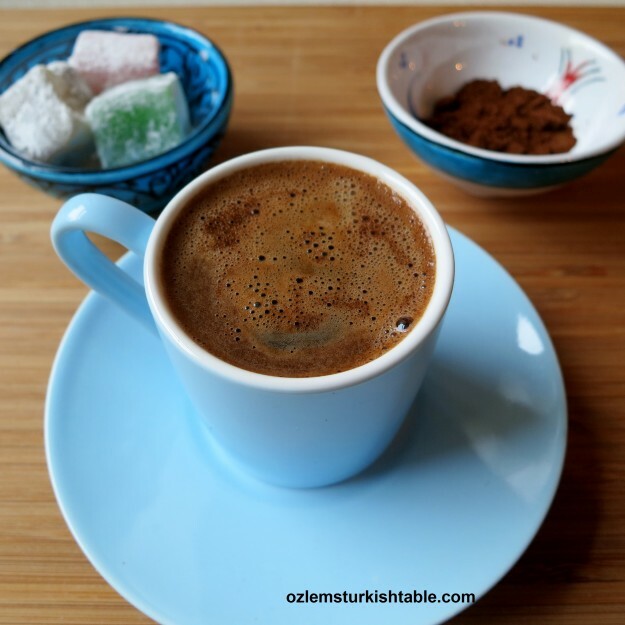 I LOVE Turkish coffee, Ozlem, true! Look forward to the day we celebrate over one and enjoyed reading your blog today too! . . this has become my daily (or more) fix – it’s like take the caffeine intravenously – an instant ‘hit’! J likes Menengiç I prefer to stick with the hard stuff. I am with you Alan; Turkish coffee is such a special daily fix for me too! I tried Menengic, loved the pistachio flavor, a once in a while treat for me:) Thanks for your kind comment! I’ve never tried Menengiç coffee, you’ve whetted my appetite so I’ll have to search some out. Hi Ozlem, after this post sure will go to the kitchen for a nice Turkish coffee with a treat of double pistachio lokum :). In London we are making all our Turkish grocery shopping from TFC (Turkish Food Centre) supermarkets. We just heard now MarkeTurk thanks to your post :). Merhabalar Aybige, lovely to get your comment, great to meet you: ) I didn’t know about TFC, many thanks for letting me know! Don’t forget to play the lottery now Özlem – you are almost guaranteed to win :)! 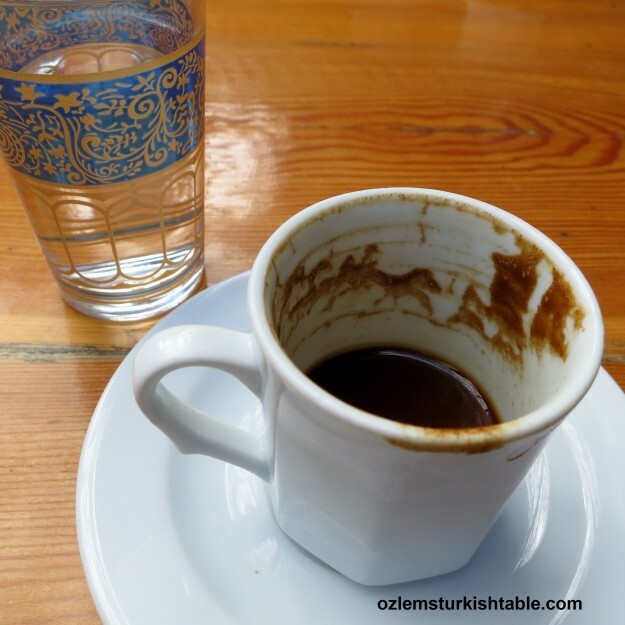 No, seriously – when in Turkey I have always much enjoyed Turkish coffee. 🙂 you reckon? 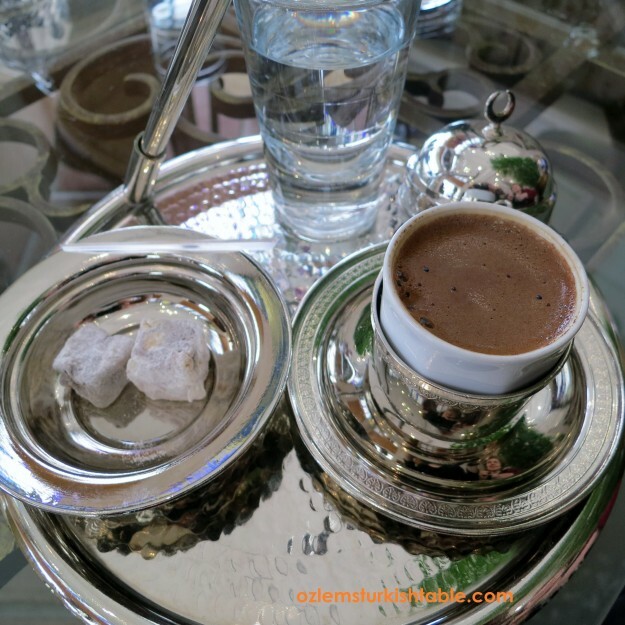 :) I am so unlucky in lottery games but I should take your word and try Barbara : ) I do enjoy Turkish coffee, and it tastes even better when I am home. 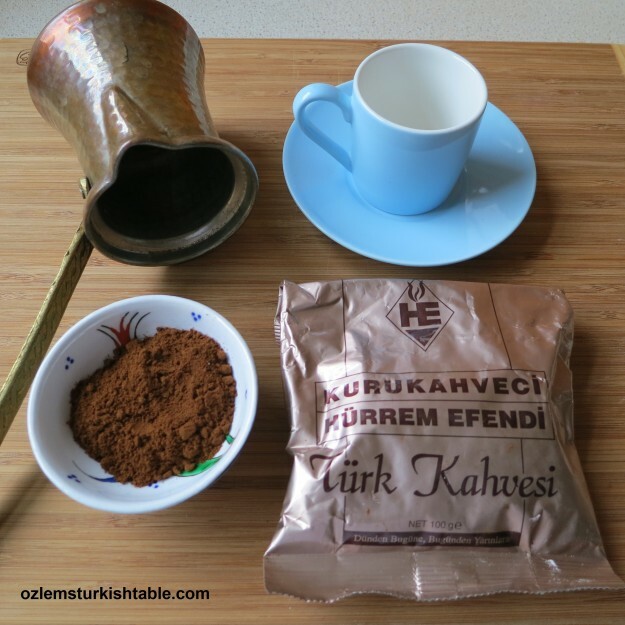 Turkish coffee is like a ritual we have every afternoon….actually I make a ‘suvari’ in a cay bardak. When I was in Turkey I wanted to buy a cay bardak with the boncuk on it…well I looked everywhere and couldn’t find any in any stores. 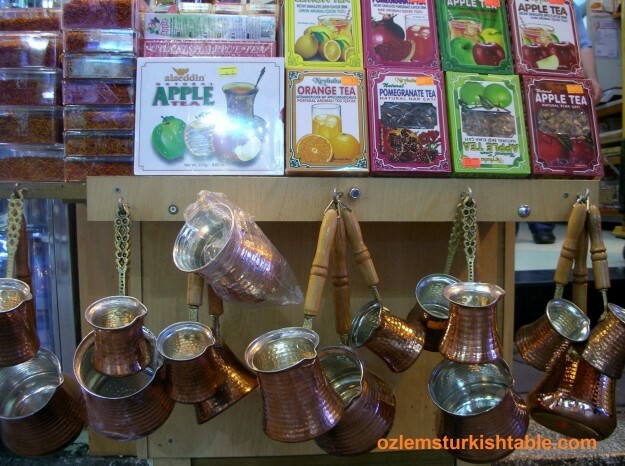 Well I came home to Toronto and when I went to the Turk store they just got a whole shipment in….the Turkish tea glasses with a Boncuk. Thanskf for sharing your recipes and great pics.